Aaron Petrasko’s irregular heartbeat increasingly caused him to miss out on things that were important to him – time with his wife and three young daughters. Aaron’s wife, Courtney, was well aware of the condition and the increasing frequency of the irregular heart rhythm. “I was afraid of something aggravating his heart and would tell him to just chill while I took the girls to do something,” she says. 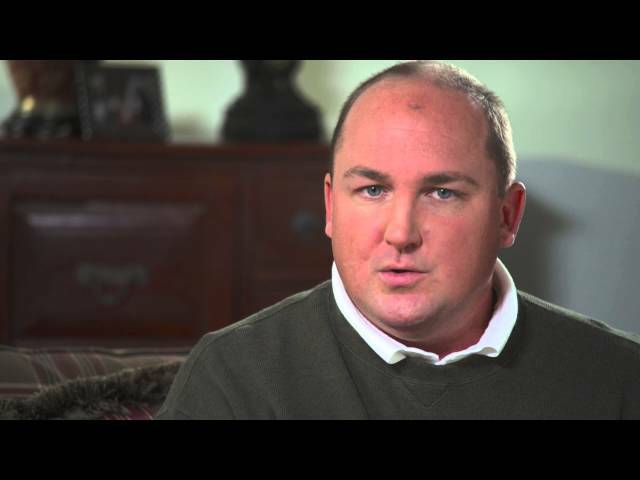 Aaron describes why he chose to have his heart procedure at Ohio State. Aaron describes how he feels after his heart procedure, and his advice to others who have an irregular heart beat. Aaron and his wife Courtney talk about their experience at Ohio State. 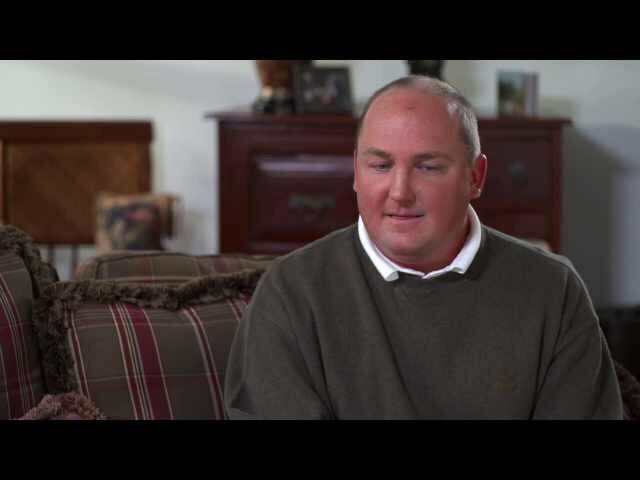 Aaron and his wife Courtney describe life before Aaron's heart procedure. Missed beats, missed time with family "My irregular heartbeat became an obstacle." Aaron had a condition called atrial fibrillation. When the heart has abnormal electrical firings, it beats rapidly and irregularly causing fatigue, shortness of breath and lack of energy. “It really became a huge obstacle and an enemy in my life. I grew to resent it,” says Aaron, who had tried medication to treat the condition without success. A decision and peace of mind "My irregular heart beat became an obstacle." Aaron decided to have a procedure at Ohio State’s Ross Heart Hospital to fix his heart and reclaim his quality of life. He chose The Ohio State University Wexner Medical Center over other facilities because of its commitment to new, cutting-edge technology and the staff’s openness about the procedure and what the future held for his irregular heartbeat. A sigh of relief, full speed ahead "I can live free again." Why choose Ohio State for treatment of irregular heartbeat? The Ohio State University Wexner Medical Center is home to the largest electrophysiology (EP) program in Ohio and one of the top in the nation. Our electrophysiologists have unsurpassed expertise in treating heart rhythm disturbances including atrial fibrillation ablation procedures. Atrial fibrillation ablation is a highly technical procedure that requires advanced technology and infrastructure and teamwork. This includes specially trained EP nurses who staff the procedure lab and inpatient unit around the clock, and pharmacists who specialize in EP and adjust patients’ medications. Ohio State's Wexner Medical Center is equipped to address any atrial fibrillation treatment need a patient may have and does so with complication rates far lower than the national average. Direct mapping of the specific electrical abnormalities that cause atrial fibrillation. Previously, ablation focused on a general area. New computer-based mapping of abnormal circuits allows electrophysiologists to focus on specific regions for ablation. This minimizes the amount of unnecessary ablation and shortens the procedures. We are one of only three U.S. hospitals using this investigational tool. Contact pressure catheter. Traditionally, an electrophysiologist uses the sense of touch to estimate where to ablate during a procedure. Our experts are working with a contact pressure catheter with a spring in the tip to provide greater precision. When the physician pushes against the heart wall, the spring depresses and the instrument measures the pressure against the wall. This provides the physician with direct feedback to minimize complications and maximize the effectiveness of the procedure. Ohio State's Wexner Medical Center’s electrophysiology expertise, technology and experienced staff contribution to the Heart Hospital’s recognition as a national leader in heart care by U.S.News & World Report.